It only took a few minutes before Owen Emmendorfer's brown locks were cascading Friday evening onto the ground in a pile around the stool. But the 12-year-old wasn't too concerned about his new shiny-headed appearance because, after all, he did it to raise money for research to fight children's cancer. Owen was one of 120 people who signed up to take part in Osborn Hill Cub Scout Pack 199's annual St. Baldrick's Day event at the school, this time in memory of Teddy Gerber, a third-grader at Osborn Hill who died last August just nine months after his initial diagnosis of a rare, aggressive, malignant soft tissue tumor. He said he wasn't nervous about going bald for a worthy cause. "Teddy was one of my neighbor's and my brother's friend," Owen said. Among the first to get their heads shaved were Teddy's dad, Bill, and big brother, John. "We've raised about $60,000," Bill Gerber said, enough to fund a St. Baldrick's grant for medical research. He told the crowds of kids and parents that by shaving their heads, they were making a statement. "We don't care about hair," Bill Gerber said, but the person underneath the hair. 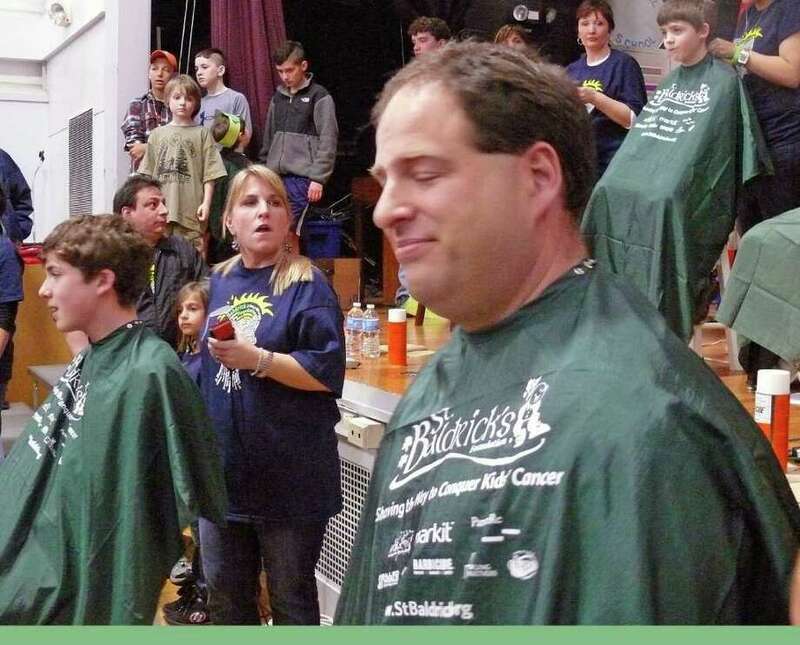 Jessica Gerber said the Cub Scout pack had been hosting St. Baldrick's fundraisers for several years, but last year Teddy was the guest of honor after he was diagnosed. "Last year the event was one of the highlights of the whole time he'd been sick," she said. "He was feeling good, it was after the surgery and before the chemo and he was feeling better." At the end of the night, she said, her son, who always wore the hood of his sweatshirt up, took it off because he said, "I'm not the only bald person here anymore." This year's event was bittersweet, Jessica Gerber said, but her memories of last year's shave-a-thon are a personal side of the battle against cancer. "Obviously raising money for cancer research is important," she said, but so was "him being comfortable and surrounded by people who looked like him." She said some of Teddy's friends said they'd like to come, but weren't too sure about getting their heads shaved. "I said you don't have to get your head shaved, you can buy a raffle ticket," Jessica Gerber said. "Everyone should leave here happy."